Thousands of books. Billions of dollars. But society is continuing to get fatter, more un-healthy, and what to do about it stumped me. I was officially overweight. Was that important for my health? I was about to turn 60, and knew I was likely to live to at least 100 years, and had been telling family and friends that I was going to live to 120. So something needed to change if I did not wind up dribbling to a room full of strangers in my mid- nineties. Or worse not speaking to the intensive care unit nurse at the age of 65 due to a cardiovascular “incident”. I knew looking after yourself was necessary, but what was based on good science, what was poor or compromised science, and what was fiction. Could one take steps to be more healthy and live for another 60 years? Come with me to discover some simple science, evidence based truths. There is 58 chapters. There is much science to cover. Most are 2 to 3 pages. Enough to present, but not too much to confuse. Some good science but a lot of “mythology” and dogma. I have tried to not use references earlier than 2008 if possible, as advances in genetic research, in endocrinology and molecular biochemistry and computer technology allow us to do things and see things that just were not possible 5 years ago. My conclusion from books, science publications, and a lifetime of business is there are 6 things to take-out of your life to get better health. And loose weight as well back to a normal weight. These six low hanging fruit”. Low hanging fruit are those easily captured benefits which require very little effort. Most changes are actually very hard to do long term because they require consistent and persistent effort. These 6 take-out actions will give a “life-style” change. In researching the researchers, I’ve concluded from the thousands of science papers, there are really less than 6 things to take-out of your lifestyle for better health. Understand the 3 principles in the book. 1. Follow the 80/20 principles. Less than 20% of what you do will give you 80% of the benefits. Conversely, the other 80% effort will only give you 20% of the benefits. So be Smart. 2. Change Management principles. You have to make a concious change. So make the changes as small as possible to achieve long term lifestyle changes. Don’t be like those who decide to go to a gym, and last about 2 months. 3. Adopt a systems principle approach. Change has to affect 3 areas of your life, the so-called 3-legged stool. The first leg is physical (biochemistry, physiology, genetics, and your micobiome). You must apply these 6 steps to your mind, (the 2nd leg of that stool), and also to the 3rd leg, the society we live in. Humans are complex. Health is a interaction between biochemistry, Brain and mental, and our social and human behaviours. Science is compartmentalised and regrettably health recommendations today fail to take account of the compartmentalisation. Biochemists probably do not talk to a psychologist and medical researchers don’t seem to talk to anthropologists, and they probably don’t talk to dentists or population biologists. Worse still, research carries on in each of these areas, and it is clear that science results are confounded. 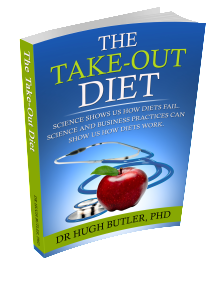 Why do 80% of diets fail? Something is not working. Diets are not based on integration of the data from each area. “Don’t eat added sugar” popularised by researchers or authors such as Prof Lustig, or David Gillespie of “Sweet Poison” says exclude added sugar from your diet. The basis of this recommendation is the scientific evidence from biochemistry, endocrinology and genetics and in particular the role of insulin. But sugar has been added to most processed food, and unless you want to abandon socialising; stop eating “treats”; abandon years of behaviour you will fail. I believe we need a system approach to health. Not the current reductionist approach. It is critical if you want to be healthier, and it explains the seemingly contrary advice from specialists. 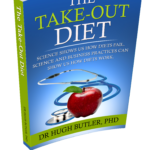 Select 10 Evidence Based Diet Tactics Why This Book Antioxidants – do they work Vitamins – Fact or Fiction Six Steps to Health 1% Weight Increase each year 8 Glasses of Water? 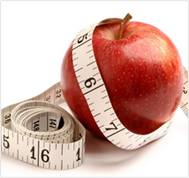 10 tips for effective science based dieting are explained by the BBC documentary team in 2009. Michael Mosley is the test subject, and they visit researchers who have a range of tactics to diet effectively. Make sure you eat more protein; keep moving; eat more dairy product; understand food calories to make informed decisions; count calories; don’t skip meals; use smaller dinner plates; don’t go to buffets; eat soup, and swap higher energy calorie foods for equivalent tasty foods. Simple tactics that are scientifically proven to work. Antioxidants are not necessarily vitamins, but some vitamins are antioxidants. Anti-oxidation vs. oxidation has been billed as a contest between good and evil. It takes place in within cells in organelles called mitochondria, where the body converts food to energy — a process that requires oxygen (oxidation). One consequence of oxidation is the generation of atomic scavengers called free radicals (evil). Free radicals can damage DNA, cell membranes, and the lining of arteries. Not surprisingly, they have been linked to ageing, cancer, and heart disease. Before reviewing the scientific evidence, I thought that antioxidants were a little over-hyped but generally ineffective. We can see now that if you want to run the risk of increased cancer, take anti-oxidants. Eating some fruit and vegetables (note: fruit juice is not fruit) will reduce your weight and improve your health. The claim for health from consuming antioxidants has no evidence. For me any money spent on this sort of stuff is a complete waste of money. Do something useful. Help provide clean water to poor communities. That will do some good. We have outsourced responsibility for our health. We don’t want to change the way we live despite documentation that lifestyle is one of the most powerful determinants of health. Vitamins are necessary to convert food into energy and when people don’t get enough vitamins, they suffer diseases. The question isn’t whether people need vitamins. They do. The questions are how much do they need, and do they get enough in foods? But I’m very sceptical of anyone who has a pill to cure the man-made epidemics of our time, and it turns out scientists know large quantities of supplemental vitamins can be quite harmful indeed. But sales are good.